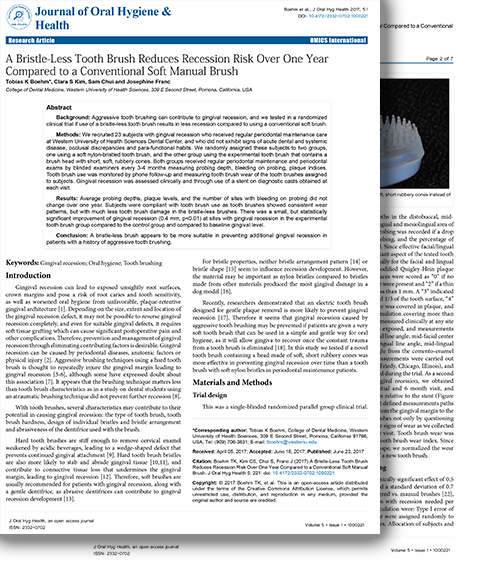 Researchers from the College of Dental Medicine at Western University of Health Sciences in Pomona, CA, recently published the results of a year-long study comparing the efficacy of the PeriClean Ultra Soft Toothbrush against a traditional soft nylon-bristle toothbrush. 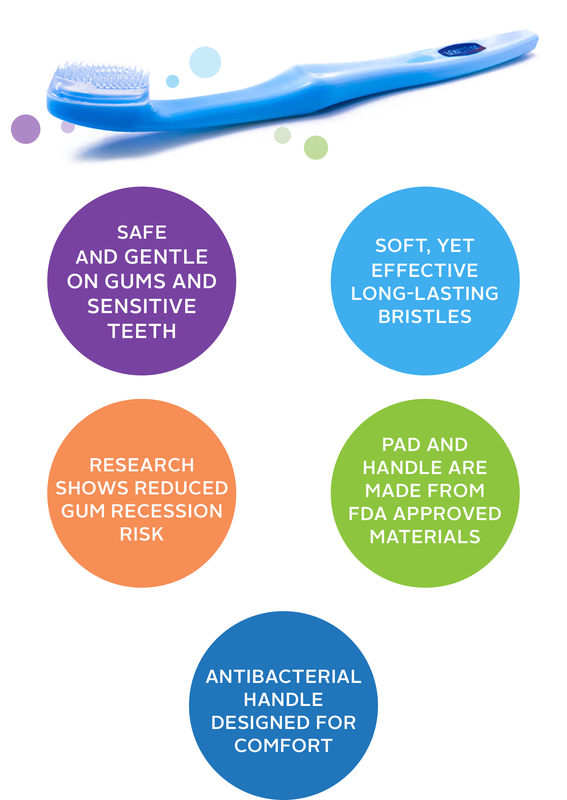 After 12 months of evaluating subjects with gingival recession, ranging in age from 18 to 80, the researchers concluded: the PeriClean Ultra Soft Toothbrush did reduce the risk of gum recession and showed some regrowth. Are you brushing your gums away? 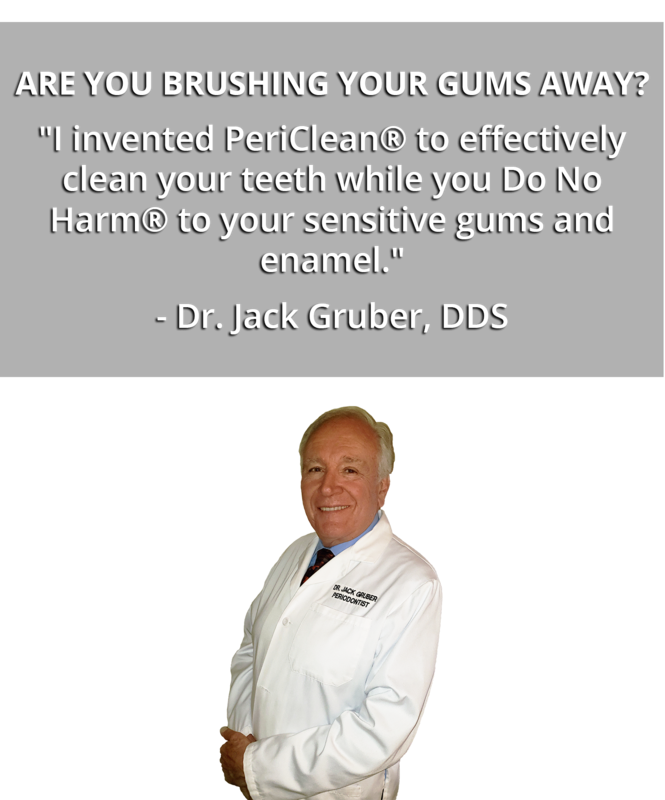 "I invented PeriClean to effectively clean your teeth while you Do No Harm® to your sensitive gums and enamel." Dr. Gruber knew that his PeriClean Ultra-Soft Toothbrush with its unique Do No Harm® rubber bristles was a revolutionary breakthrough in the fight against receding gums. But he admitted he was pleasantly shocked when he saw that PeriClean was turning back the clock and helping receding gums grow back!